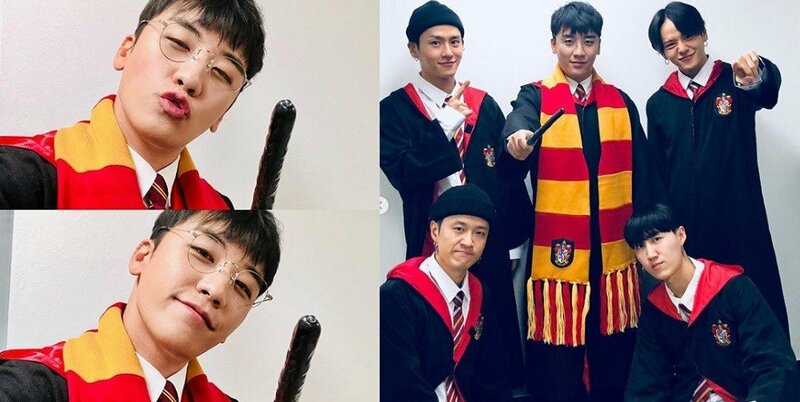 Big Bang's Seungri dresses up as Harry Potter for Halloween! Do we have a Seungri Potter this year for Halloween? During the night into October 28th KST, the maknae of Big Bang posted photos of himself and his friends all dressed up as Hogwarts Gryffindors. With round specks and a wand, Seungri was Harry Potter himself, calling himself "Seungri Potter" in the captions! Some comments shared by fans were: "Oh yeahhh my potter boy", "Two of my favorite things ever, Together, when you are a VIP and Potterhead too", "the only version of Harry potter I will accept". What other characters would you like to see K-Pop stars dress up as this year?